Readers, this is your spot! The Bar Book Club meets every 6-8 weeks to discuss a book mutually selected by the group's participants. Any SDCBA member can participate at any time - you don't even need to finish the book to attend! 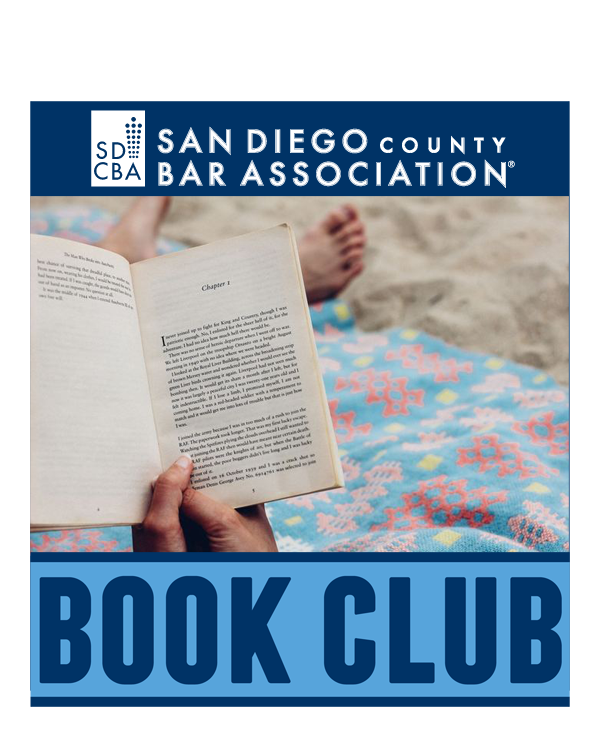 The Bar Book Club offers engaging discussions with a cross section of the SDCBA membership on the selected book, as well as related themes and societal issues. Participants can come and go as they please - they are not required to read every book or attend every meeting. Keep an eye on This Week at the Bar for notice of what we'll be reading next and where we will be meeting.